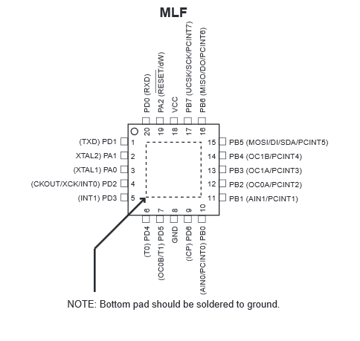 My adventure into IR protocols, arduino hardware, and C++ all started when I found out that iLap was selling a small device. 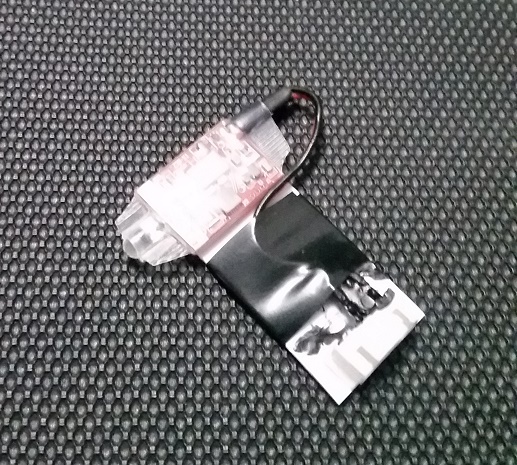 This small device, a $40 ‘timing gate transponder’ in essence quickly repeatedly sent a 7 digit number out of an infrared LED to a receiver at the finish line to track how fast drone pilots flew around a race track. 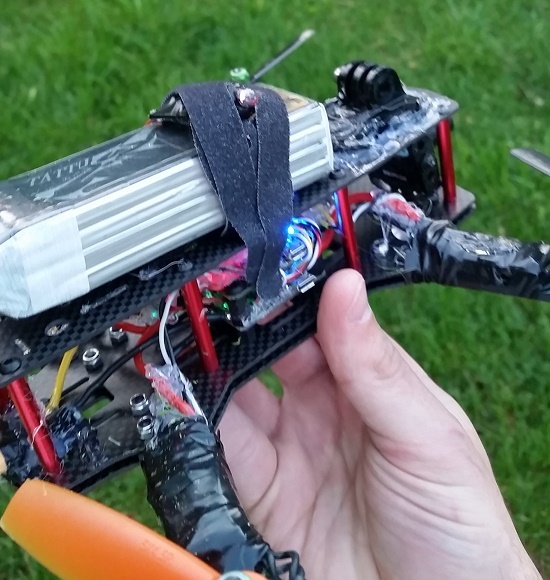 “This looks easy enough, I’ll just build my own!” I thought to myself… not knowing what kind of rabbit hole that would lead me down, the rest of this post is dedicated to that journey, to create the ideal homebrew IR transponder for drone racing. Ok, so I had a receiver system, a single transponder, aaaand that was about it at the onset. 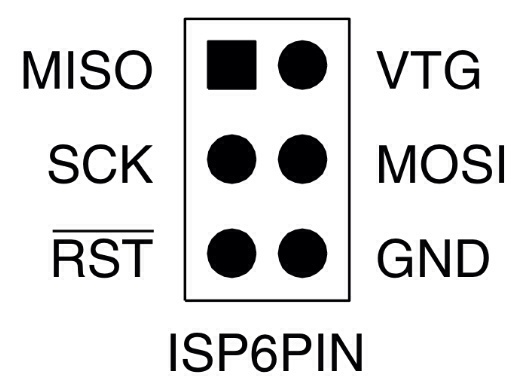 First, visually, the boards chip pinout needed to be ID’d, which wasn’t that rough as only about 1/3 of the main processing chips pins were in use according to the traces on the board. 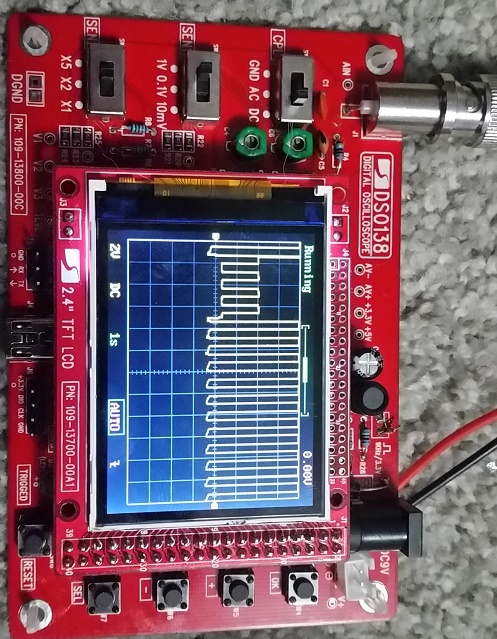 ‘If I cant pull code from the board, maybe I can just read the resulting signal from a receiving IR chip and arduino’ I thought to myself, and set out to do just that, the results below show a normal readout from the receiver, complete jibberish. I spent far longer than i would have liked trying to find any kind of pattern or hidden information in the received data but with no luck, any pattern I had thought existed wouldn’t pass a test sending it back out to a real receiver. 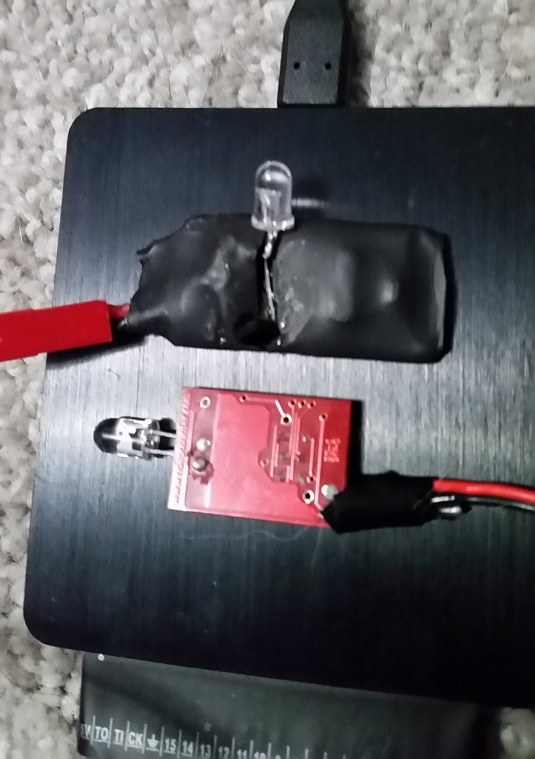 In a desperate attempt to find a pattern, I attached a basic oscilloscope to the IR led on the transponder board. Well, at least it wasn’t complete jibberish! Learning the very quickly apparent limitations of an arduino logic sniffer, I went and purchased the real deal, meet the DSLogic Pro. The DSLogic Pro was capable not only of much, much higher speeds than the arduino, it also included a much more newbie friendly user interface as well as the key to what I needed, more internal memory to store longer recordings. Here is a screenshot style view of what the above looked like. 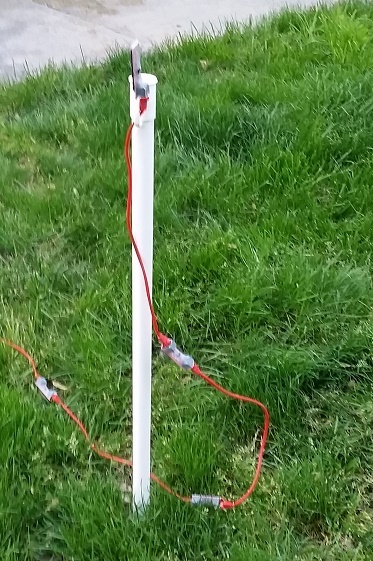 The orange and brown represent the receiver (brown) and original transponder (orange), my arduino version was in red. 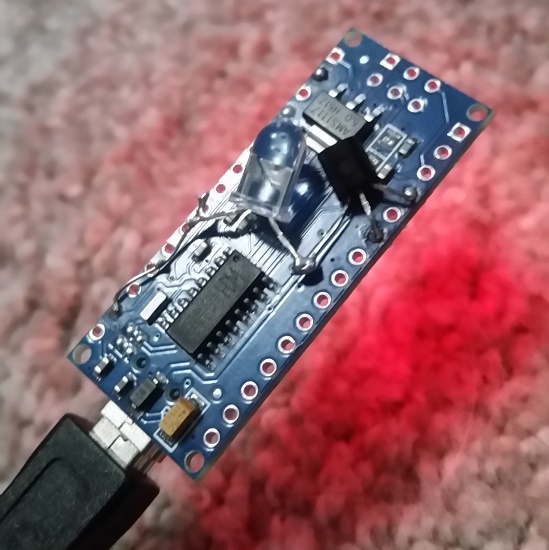 By using the IRremote library for arduino, and continuously adjusting the on/off timings sent to the arduino led, I was able to come tantalizingly close to matching the original signal blip for blip. 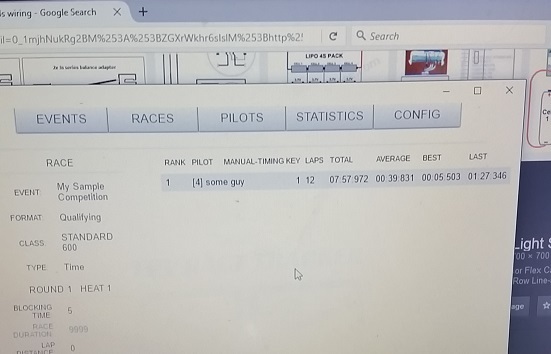 Below is an example snippet of the first iteration of my transponder code, stupid simple and just constant editing of the ‘rawdata’ field and ‘khz’ field. 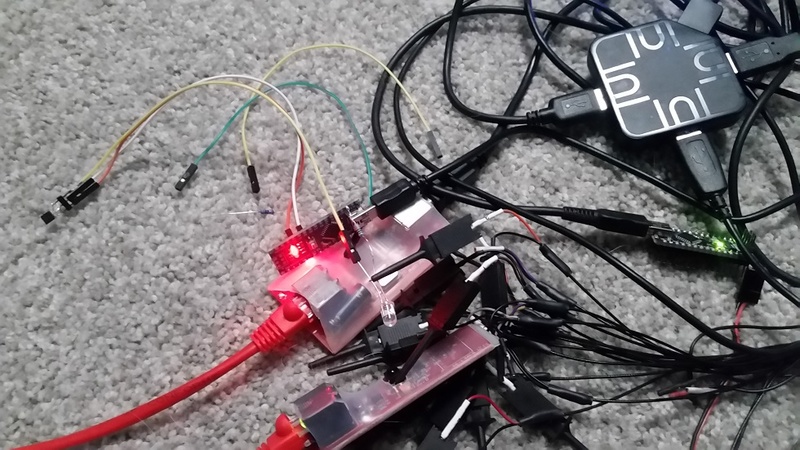 Each of the raw data numbers had to be detected by hand, by reading the IR pulse, looking at the above logic analyzer readout, and then tacking it onto the array in a close guesstimate of what the real timing was (give or take a few microseconds for the arduino to actually turn off and on the led). irsend.sendRaw(rawData, 33, khz); //Note the approach used to automatically calculate the size of the array. Many (many) hours later, my hard coded on off timings produced a result! Each ‘flicker’ of blue below was a successful read of my homebrew transponder. 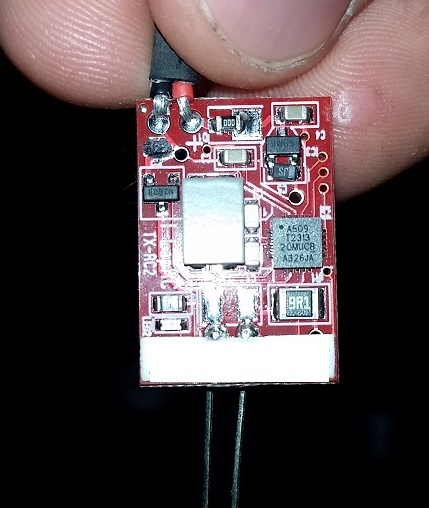 At first I would maybe get 1 read for every 50 or 60 sends, but over time, and by normalizing the on/off timings of the IR led, i was able to get a good 2/3 of my pulses successfully read. 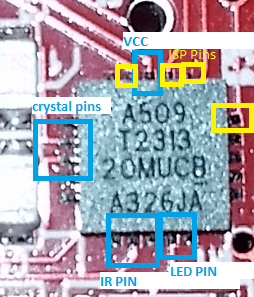 I also tried to get the above result using smaller chips, attiny85’s, but that proved unsuccessful as the existing attiny85 boards on market didn’t include an external resonator (crystal) to keep exact microsecond timings for the on/off pulses. 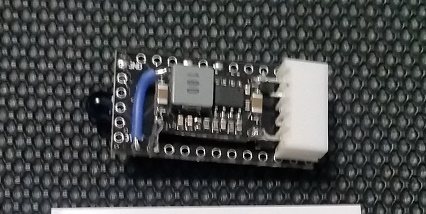 I also (very naively) thought that my arduino replica could just have the IR led attached direct to the pin I wanted to use, oh how that would have been wonderful if it were true. 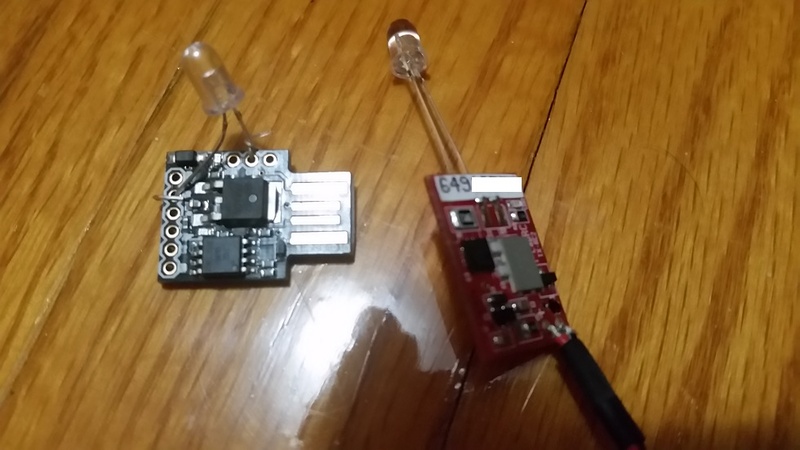 But alas, some discreet components were also required to flash the led properly (and bright enough). 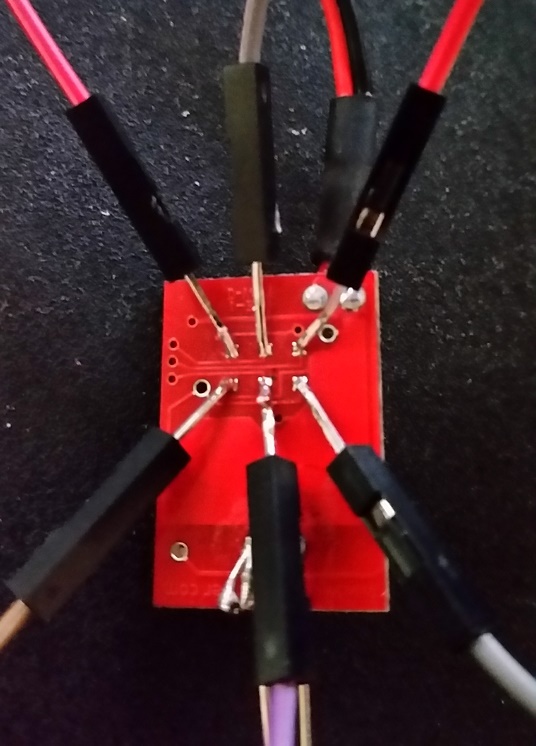 Below is a picture of the absolute bare minimum parts needed to properly drive the IR led for a transponder, a NPN transistor… This setup surpisingly worked, and quite well, but I later added a resistor to help keep things sane. 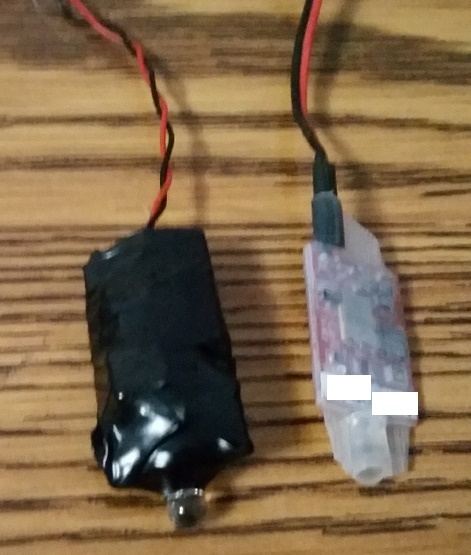 It wasn’t until a fellow pilot showed me their makeshift system for keeping the transponder secured that my design made a proper change. 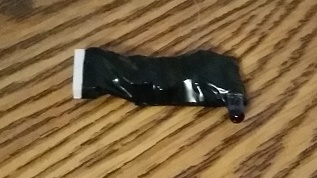 Here’s his design, which worked surprisingly well to quickly add, and remove, from quads based on the battery strap. 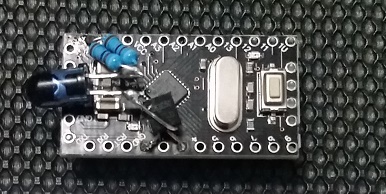 I eventually settled on the ‘arduino pro micro’, not only for its small size and large feature set, but for its direct microusb connection and atmega chip with external crystal. 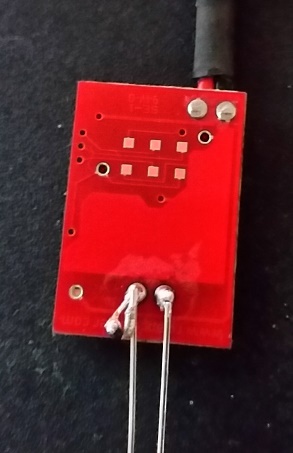 At the same time I added a second IR led onto the other side of the board, allowing a pilot to mount the transponder in any way they saw fit while still having a great chance of being read by the receiver at the finish line. 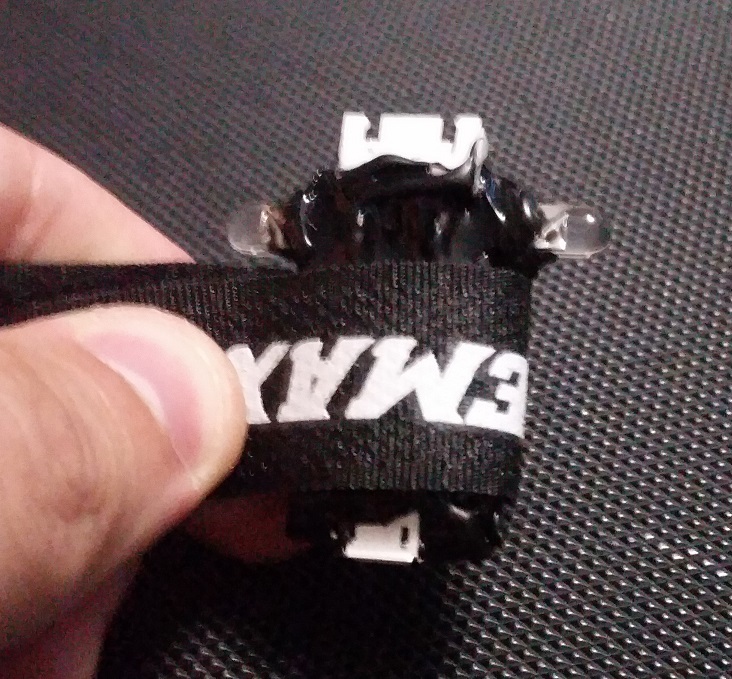 I also played with the location of the leds to ensure the best fit for the battery strap, as to not have them get in the way while still providing ample security to the battery (or drone itself). 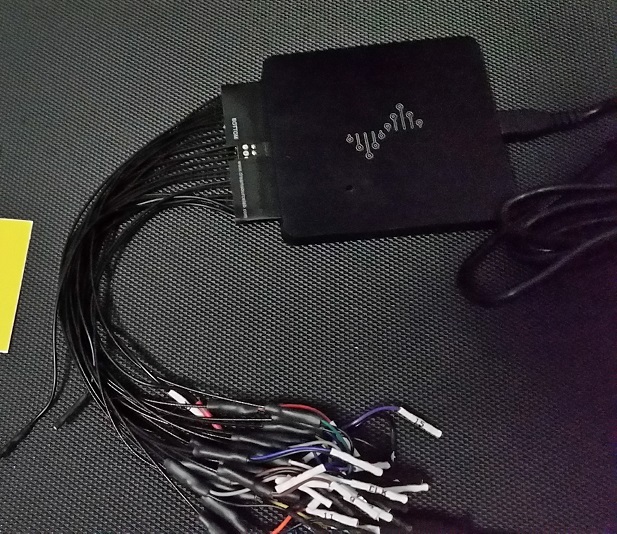 He had taken my open sourced work on the IR protocol side of things, as well as hardware, and spliced in his encoding work to make a complete system. With that in place, the code was optimized and simplified, all the while being posted up to my github account for all to view. 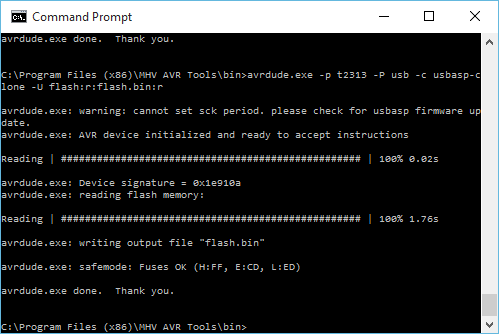 I later added support for a desktop client to further simplify the transponder ID setting process, as well as easier flashing of new transponders in electron (node) and using the avr-girl package. 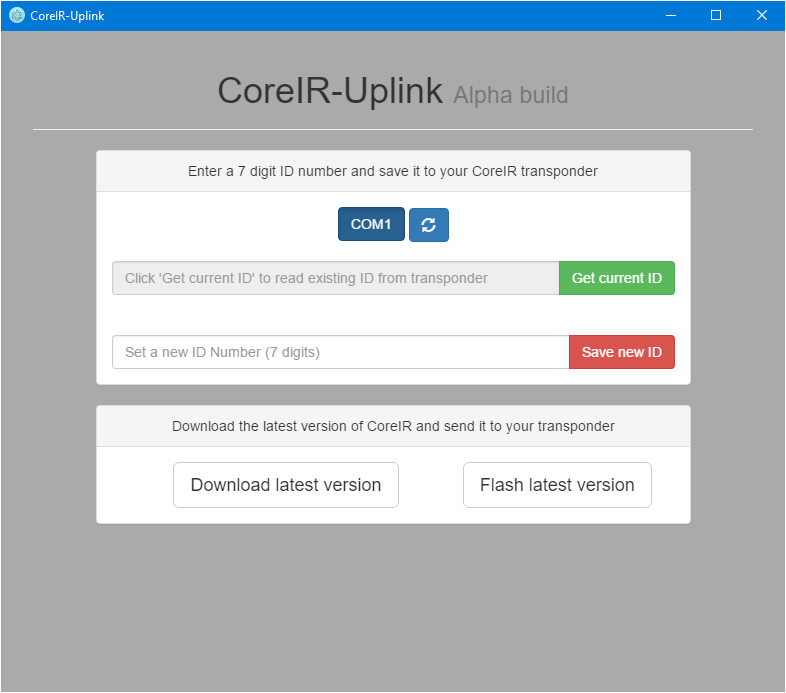 As of this post progress on the CoreIR transponder, and the desktop app, continues…. 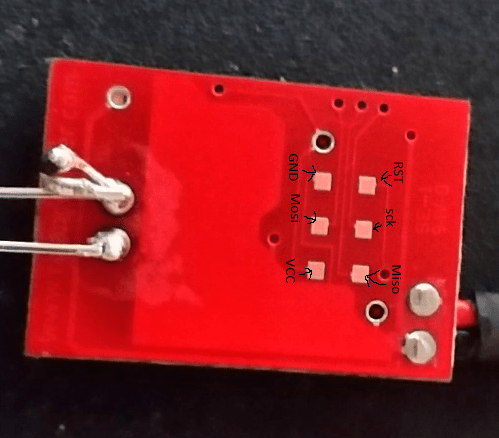 I continue to tweak and adjust timings, playing with different frequencies and numbers to get the ideal signal out of my homebrew transponders, but I hope to help bring light to the start of that code, and project, through this blog post. 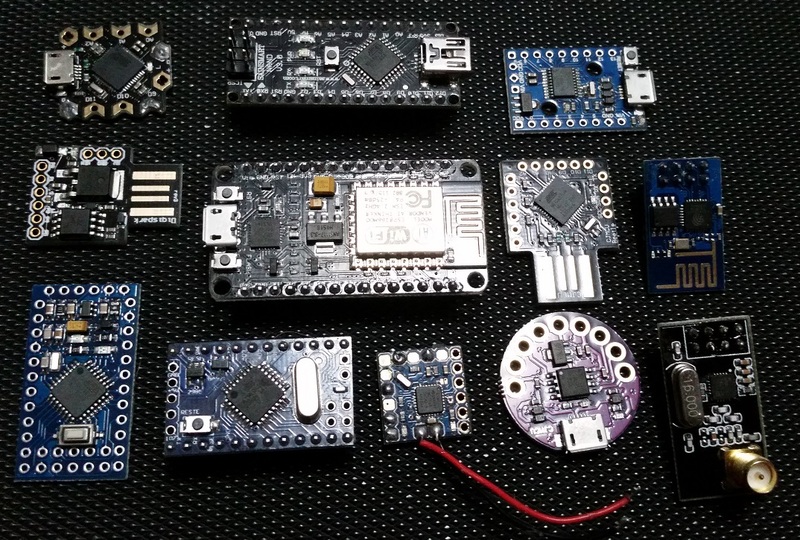 I also hope that this blog post will inspire others, with minimal hardware and troubleshooting knowledge, to dive head first into a project and fight until they achieve success. As for the code and hardware designs, they will always remain free and OSS for all to enjoy and contribute to, as that’s what helped make this project a true triumph and joy to work on. 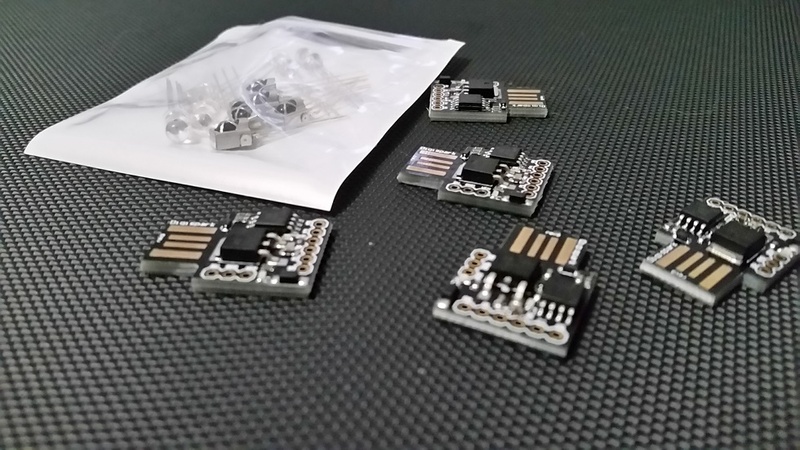 A follow up post is coming soon with step by step instructions on how to build your own CoreIR transponder, stay tuned! What an amazingly detailed post Michael, great job! 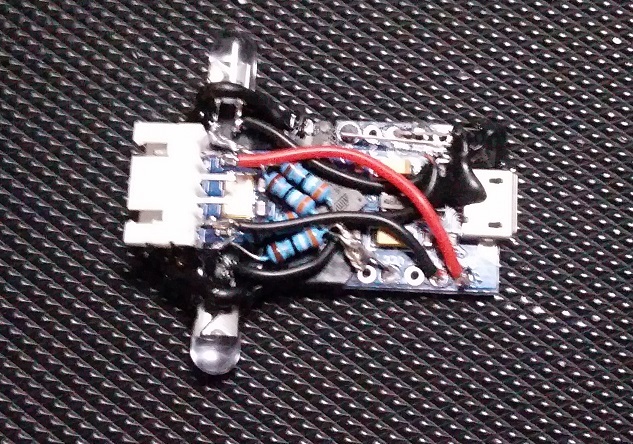 I’m very much looking forward to your next post on the transponder build!